Learn more about the National Wildlife Federation. 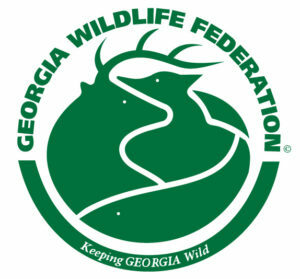 The Georgia Wildlife Federation has had an exclusive affiliate relationship with the National Wildlife Federation (NWF) since its founding in 1936. The NWF state and territorial affiliates are autonomous organizations whose primary purpose is the conservation, wise use and restoration of wildlife and other natural resources and the protection of human health and the environment. Affiliates operate at the grassroots level by working to educate, encourage and facilitate the conservation efforts of their distinct bases of members and supporters. Affiliation is a voluntary relationship between the state organization and NWF, and there is only one NWF affiliate per state. The NWF nationwide network of 51 affiliates is also responsible for electing key members of the NWF leadership and setting NWF conservation policy priorities through an annual resolution process.